Cleaning a Jansport backpacking tent is a necessity if you want it to last a long time. Jansport stopped manufacturing tents in November of 2009, so you won't be abe to replace your beloved tent with a new model if it wears out. 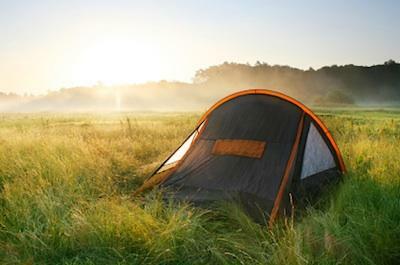 Proper maintenance can help you keep your tent in good condition for a long a possible. Jansport tents, just like their backpacks, were one of the best quality tents available until 2010. A lot of backpackers were disappointed when Jansport announced in 2009 that the company would no longer be manufacturing, selling or repairing their tents. With the prospect of never being able to replace their tent with a new Jansport tent, backpackers are suddenly very concerned about the care of their tents. Most Jansport tents are made of nylon, polyester, or another synthetic fabric. Taking care of and cleaning your tent will prolong its life and prevent deterioration. Tents get dirty when they are used in the purpose they were intended for. Cleaning the dirt and debris off the tent before storage is a must. Drying out your tent properly to prevent mold and mildew is crucial. When you get home from your backpacking trip take your tent out of the bag and inspect it as soon as possible. If your trip was muddy and rainy you may need to do some extensive cleaning. If your tent is dusty inside and out, a minor cleaning is fine. If the tent appears to only be dusty, a minor cleaning is sufficient. Set your tent up in your backyard, preferably on a cement patio. Do not stake it down. Open all the windows and doors. Brush and sweep the tent, inside and out. If there are a few minor dirty areas, spot clean them with a soapy rag. Allow the tent to dry thoroughly before putting it away. Set your tent up, open windows and doors, and inspect it thoroughly. Look for signs of stains or sap from pine trees. Look for tears and rips. Make sure to turn the tent over and look at the bottom. Repair the tears and rips first, so they will not get worse in the cleaning process. Sweep out the inside of the tent. Clean the sap from the tent first, as directed in the section below. After the sap is cleaned off and tears are repaired follow these steps for cleaning a Jansport backpacking tent. Fill a five-gallon bucket with warm water and a half-cup of liquid hand soap. Detergent is not recommended because it may bleach out the tent or remove the protective coating. Dip a sponge into the soapy water. Scrub the entire exterior of the tent. Brush carefully, especially the netting at the windows. Go inside and scrub down the interior. Go back outside and turn the tent to the side and scrub the bottom of the tent. Use a towel and hand dry each part of the tent. Let the tent air dry thoroughly. Leave all the windows and doors open. This may take 24 to 48 hours. Check the tent seams to make sure they are completely dry. Tent seams hold moisture in the double stitched thread. These areas will mold if you put the tent away too soon while it is wet. Sap from coniferous trees is common on backpacking tents. The pine needles on the forest floor are covered with sap and when they come in contact with a tent the sap is transferred. Peanut butter can be used to remove sap because the oil it contains will loosen up the sap. Spread a little peanut butter, using your fingertips, over the sap. Rub it around gently until the sap lifts off of the tent. Wipe your tent poles down with the same soapy water as the tent. Dry them off thoroughly with a towel and let them air dry as well. Clean the zippers of the tent with a washcloth and soapy water. Remove sand and grit between the teeth. Let the zippers dry thoroughly. Proper storage and cleaning a Jansport backpacking tent is important. Since this tent will probably be your last Jansport tent, take great care in using it. Always put it on top of ground cloth. Avoid wearing shoes in your tent. Be careful with the zippers. Don't store food in your tent or hungry critters may chew through to reach the food. Do not store your tent in its pack. Roll it loosely, place in an indoor closet, and cover it with a cloth. Make sure the closet does not have a problem with moths or bugs. Storing the tent loosely allows the synthetic fibers of the tent cloth to breathe.